Capacity 5 - 12 oz. This WNA Comet LHCDPET 5, 8, 12 oz. 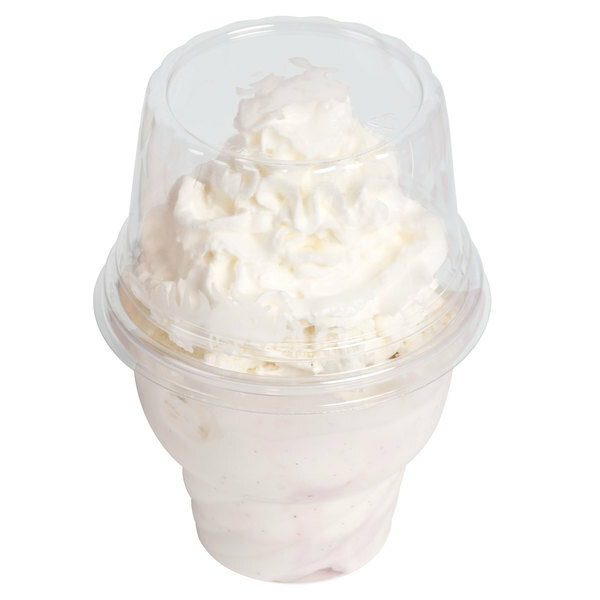 clear plastic dome lid lets you serve a variety of ice cream treats to go. Feel free to pile on the toppings or whipped cream with ample space for all of your delicious dessert treats. 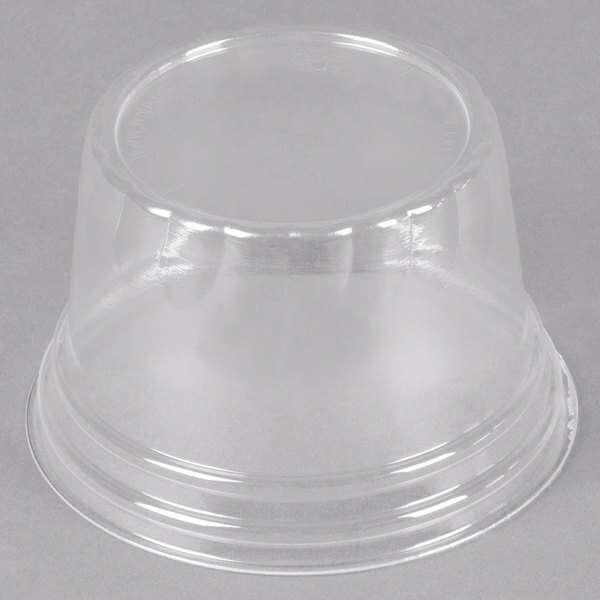 From ice cream sundaes, parfaits, frozen yogurt, cupcakes, and much more, this WNA Comet LHCDPET sundae cup dome lid is the perfect protective top. It's made of clear, PET plastic. #12 Aluminum Ice Cream Scoop / Dipper- 3 oz. These lids are durable and they are sturdy. They hold up well too many times opening and closing. I never had one crack. I use them for gelatinous products without any leakage. These Dome Lids are perfect with the Sundae Cups I purchased. I use them for my bath bomb cupcakes and soap cupcakes. I "frost" them with high tops and i sometimes add cute little shaped soaps or straws as decoration, therefore these lids have plenty of room. They snap on the sundae cups pretty tightly. Great Dome Lids! This dome lid works great to protect a frosted cupcake from being smashed. Great for wedding or party favors. Of course they make perfect sundae cups as well. They are ok. They don't snap tight to the container. Will not be ordering again. We used them for cupcakes, but they may work well for other things. I use these for any desert I want to store in the fridge to cover the ice cream cup which it pairs with. Keeping the desert fresh and easy to transport. Again this is an awesome product. The lids snap on and hold. I never have issues with them coming apart. Kids grab these from the tops all the time and they never fall off. These lids are pecect. They let me icing cupcakes and didn't smash my pretty design. This is a sturdy product and a great price. Will buy more in future. These containers are very durable and sturdy. I have no problems transporting my baked goods because the lids stays tight and secure. Very good for parfaits. I loved these. They worked great for my event and I cannot wait to Order more!! They get the shop done are extreamely cheap. Must Buy!! These work great when it comes to displaying our sundae creations. The high dome allows us to make our product portable without destroying the design. I love making cupcake sundaes! These lids are nice and large to allow me to pile on lots of frosting and decorations and not worry about my design getting smashed. Love these lids! They fit perfectly with the Sundae Cups. If you're going to keep your items in the fridge for a couple days, the lids are a must to keep your items from drying out! Bought some more! The WNA Comet LHCDPET 5, 8, 12oz. 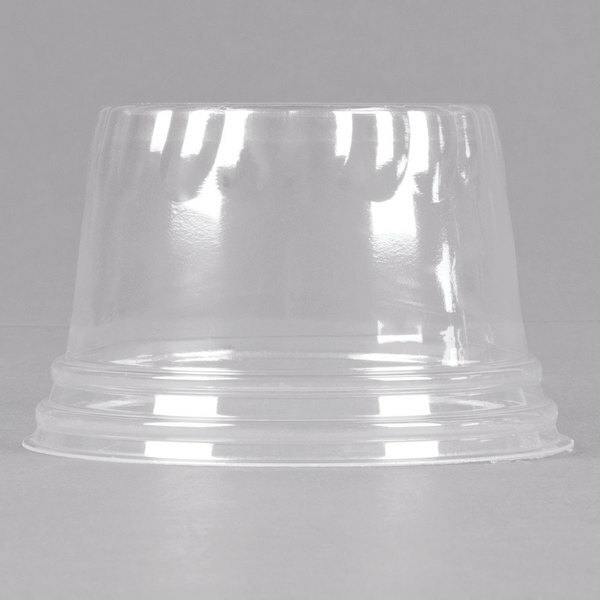 Clear Plastic Dome Lid for Classic Sundae Cups sld 1000 per case. They are great covers for to go sundae's, or the cup cakes to go. The cstomers love them and you can't beat the price. These lids fit like a glove on matching cups!! They have a nice tall design that protects whipped cream on top of sundaes!! Great price!!! I really like this classic sundae cup and the fact that they come in packs of fifty is just wonderful. I am currently using these to package cake balls and other smaller treats. These work great for cupcakes.The lid allows plenty of room for decorations and a lot of frosting. Match with WNA Comet sundae cup. They are also airtight. 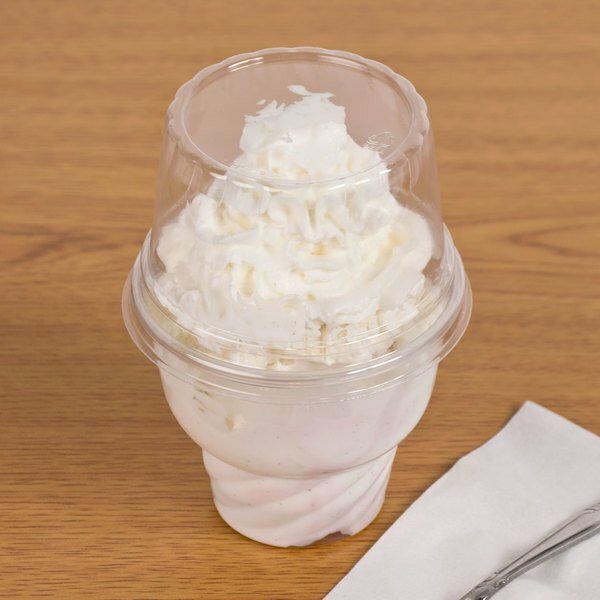 Could not use the classic sundae cup without the lid! We have had too many spills in our store from not having these lids on. Spending the extra money on lids is definitely worth it! Will definitely purchase this item again. My parfaits came out beautifully and looked outstanding with this product. This is a personal favorite of mine. Recommended! While this product is mainly used for ice cream, I put it to use for individual cupcakes sold at a local festival. The size was great because it did not interfer with the icing on the cupcake and allowed a clear view of the product. I used these lids on top of the WNA Comet CDSPET5 5 oz. 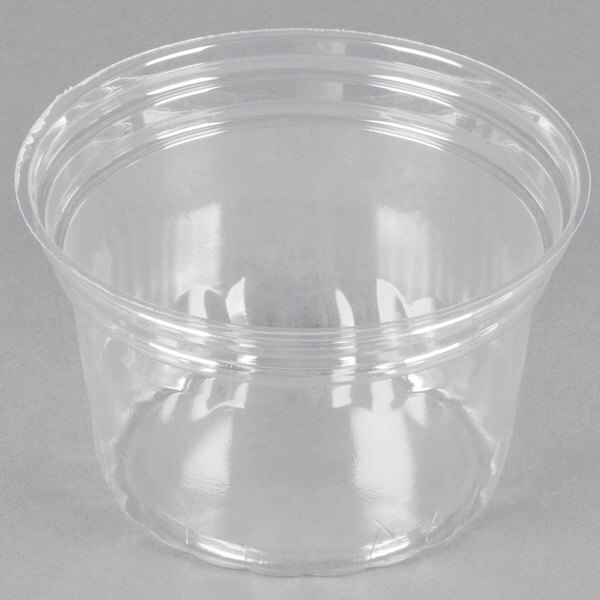 Classic Sundae Cup 50 / Pack, for cupcakes. They worked wonderfully and made a beautiful, professional presentation. Will definitely be ordering these again! Much higher quality than expected!! We use these as to-go containers for our mobile unit. They're easy to store and stack well. No complaints here! These dome lids worked out well for our new ice cream customers. Since we don't sell sundaes, we ended up using most of them as ice cream cups since they were just as sturdy as the lids! This top is perfect for topping off packaging of individual cupcakes. With the 5oz cup for the bottom, they are able to be stacked so everyone can see every beautiful cupcake. 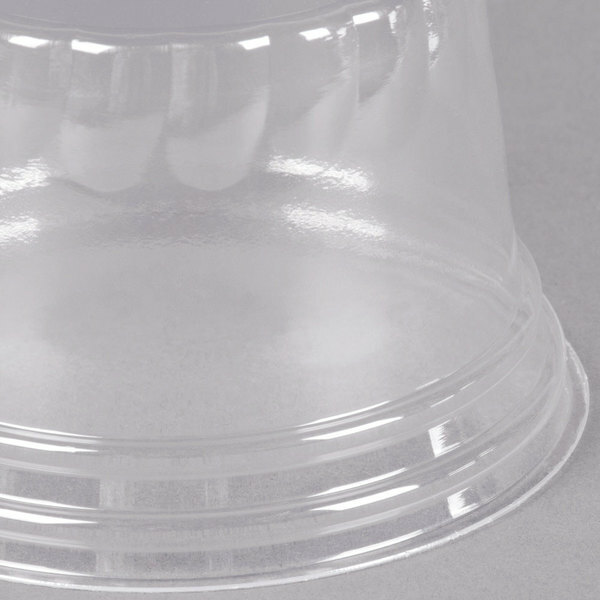 These dome lids are perfect for our cupcakes! We do piped characters on top of each cupcake, and with these we don't have to worry about the work getting squished!